Looking forward to getting started on Saturday morning. I have been newly inspired by reading about a chap who took six months off to walk the Appalachian Trail from Georgia to Maine. As I commuted into London this morning, I was dreaming of hiking in the White Mountains of New Hampshire. However, closer to home, I have high hopes of the weather and can hardly wait to be on the beautiful Jurassic coast again. I have a good mixture of walking with friends and by myself – and even have the promise of a rock’n’roll night in Newton Abbot – just in case I am not tired enough. Because of the logistics of finding accommodation on the south coast at this time of year (including Dartmouth Regatta week) I am going to have to do some pretty long stretches, so hope I can make it. 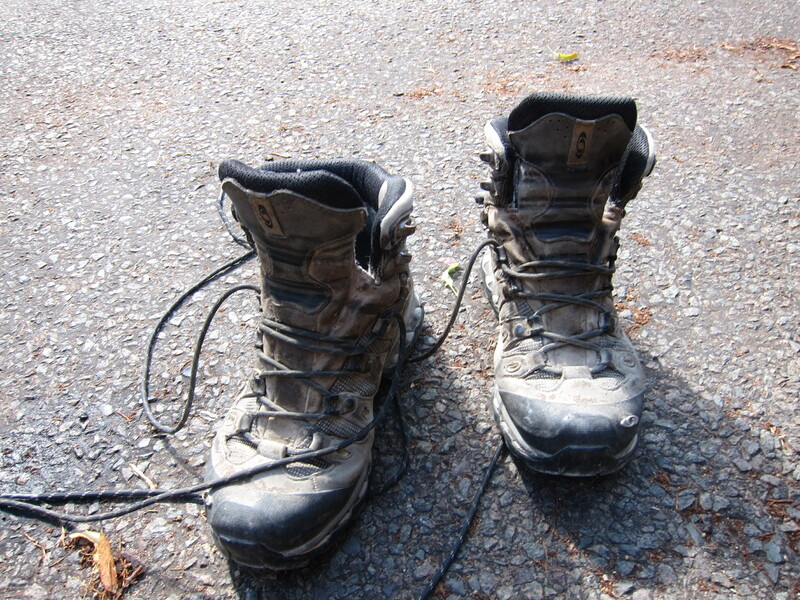 I have bought new boots – the old ones are wearing on the soles and not giving enough grip – disappointing as they are very comfortable. 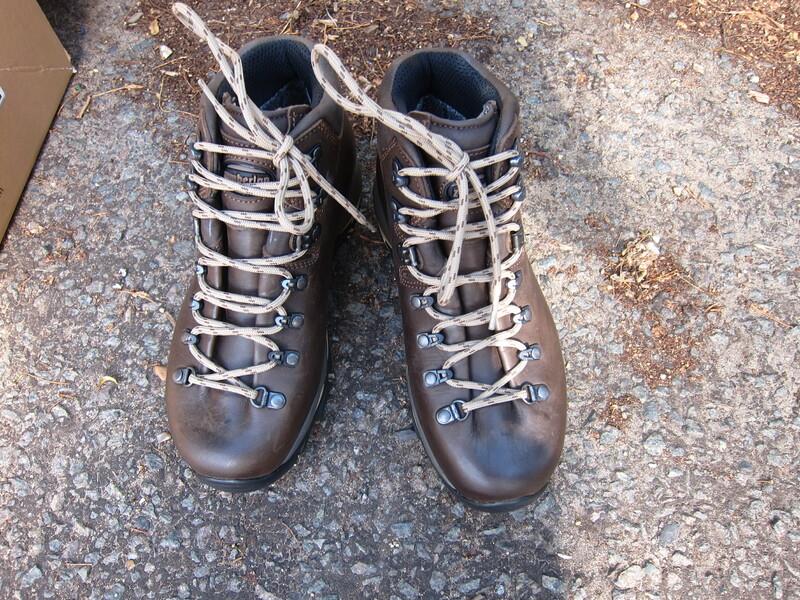 I have gone away from the nubuck Salomon boots I have had for the last three pairs and am going for traditional hard leather, made from a single piece of leather, so that there is no stitching, and thus nowhere for water to seep in. The theory is that they mould to the foot, although after having paid for them I have been informed that the soles wear out long before the leather softens that much! I wore them in last week in Norfolk and they were very comfortable, but I am taking the old ones just in case. I shall be taking the train down to Weymouth tomorrow, and spending the first night at the north end of Portland Bill.